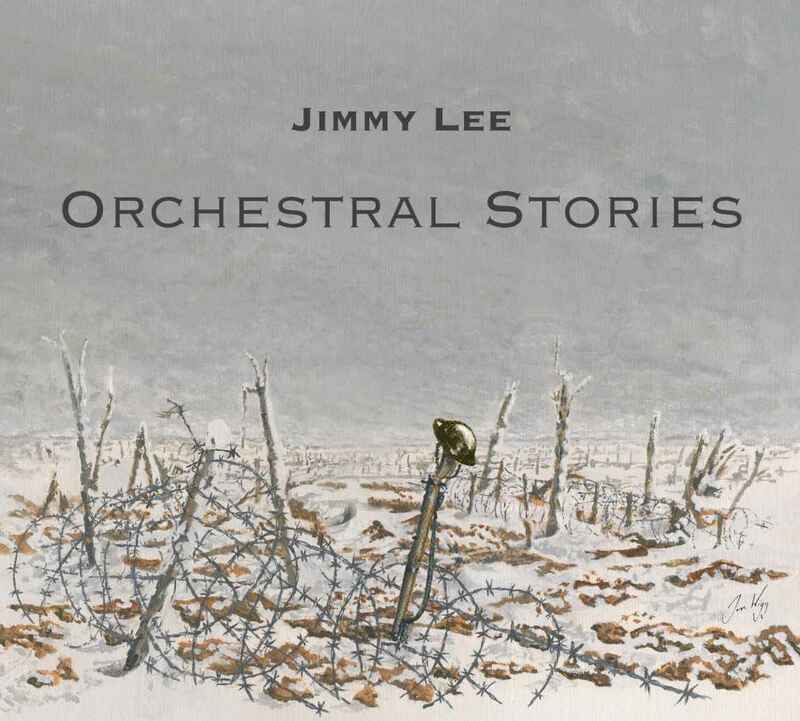 From folk to classical – Jimmy Lee releases debut classical disc Jimmy’s new album ‘Orchestral Stories’. 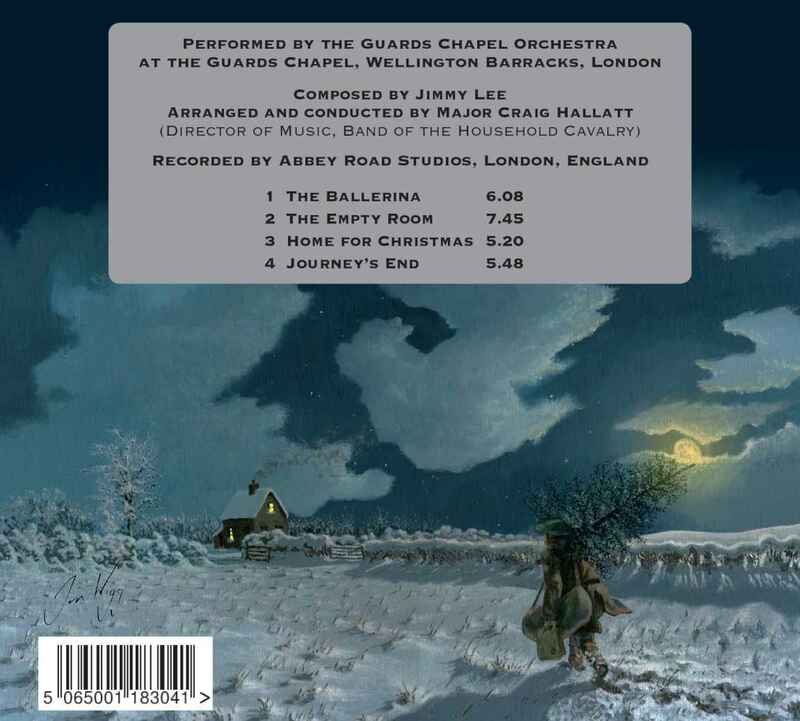 The power and beauty of Jimmy Lee’s classical compositions caught the attention of the Director of the Army Corps of Musicians (CAMUS), Kneller Hall. If you have ever had a music box you will remember how it wound itself down and never ever finished where you wanted it to........ The figure that turned as it played was often a ballerina.......for me this piece brings her to life and she dances with joy at being set free then slowly and with sadness returns to her music box as the music fades. I have long had this image of a room rather like the ‘old fashioned’ drawing room. Through my mind’s eye I can still see it very clearly. It was panelled with a bureau and a piano. I am standing in the doorway looking in. Opposite me are two French windows, the one on the left is open with a slight breeze moving the drawn curtains. It is early morning and as I gaze around the room my eyes rest on a photograph on the bureau of a young man in uniform. As my eyes roam I see another and yet another and more. I wonder who all of these people are. I have not known them and yet they are here in my home. Years later I recalled this incident and described it to my Father who recognised my memory. It was the sitting room in my grandfather’s house and the photographs were of all the men in the family who did not return from the First and Second World War and whose loss had such a profound effect on all of our lives both now and then. All of these wonderful people who I did not know. To be denied their presence in my life seems selfish compared to there own suffering and loss. Never the less, it did and still does make me very angry. The Empty Room is my requiem for them. It is for my love, my gratitude, my outrage, my anger, my sorrow and contempt for those who brought this about. I have tried to express all of those emotions in the piece... it makes me very sad. My memories of the build up and anticipation of Christmas as a child, were and still are, very powerful. Those magic evenings when the excitement of the approaching day was unbearable, compounded by small changes in the behaviour of parents and friends as the ‘big day’ drew near. Heralded preparations that were undeniably going to add to that most wonderful moment when Christmas day arrived and gleefully suffering the painful wait of a child who wanted so much for his world to be magical on that day, and for evermore! No longer a child, I stand outside of my childhood home on a cold crisp winter’s night peering through the window to see myself and my loved ones as they were in those days of yore, happy and content with all suffering and hardship banished by the warmth and joy that Christmas brings. I long to enter the window to dance with the memories and embrace those feelings lost to childhood. Standing on top of a high cliff looking down into a bay ... the sea is bright blue and calm and full of sunshine but in the distance, meeting the horizon, heavy seas and dark storm clouds are still clearly visible. Alone and without purpose a small sailing boat welcomes the security of the bay and its calm waters and seems to relinquish itself to the ‘safe harbour’. The boat with its tattered sails and torn rigging, bears the obvious scars of a voyage that has been both rough and fearful and appears, like us, to be terribly small and frail to have survived such difficult times, reminding us of our own journey through life. Despite all the slings and arrows endured, it is better to have come through battered and bruised than not at all. The boat at anchor reflects that spiritual moment of satisfaction and the sigh of relief and gratitude for having arrived at that place of safety where you can rest, secure in the knowledge that you don’t have to fight anymore.